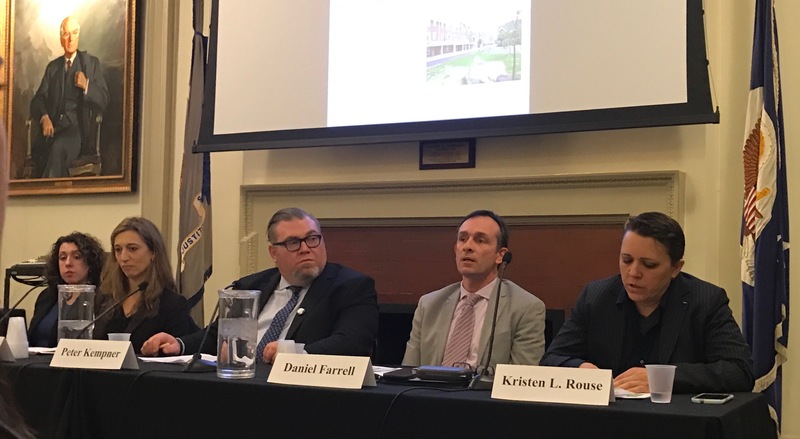 A forum held Thursday night at the New York City Bar Association featured advocates and officials at the city and federal levels to discuss the insidious problem of homelessness among military veterans. The city’s newly created Department of Veterans Services estimates that New York City is home to over 210,000 veterans. If the city’s homelessness crisis is already complicated, former service members’ housing challenges have unique dimensions of both complexity and potential solutions, some of which the panelists attempted to unpack. A theme throughout was the need for individualized attention to each veteran, as each case may require any of a patchwork of state and federal grants or programs depending on its specific circumstances. “Any one of these strategies alone wouldn’t have worked,” said Nicole Branca, Assistant Commissioner at the Department of Veterans Services (DVS). She was referring to the mixed use of programs like the federal Department of Veterans Affairs-subsidized transitional housing at Borden Avenue in Queens; the V.A. Supportive Housing (VASH) program, which is run with the federal department of Housing and Urban Development; and the city’s own veteran peer coordinators, fellow veterans who help at-risk veterans find and retain housing. One goal of DVS, which was established just last year when the city expanded the Mayor’s Office of Veterans Affairs into a full-blown city agency, is to make sure that veterans are helped effectively at every step, which includes both preventing homelessness and addressing it quickly when it does occur. Ultimately, the agency wants to reach what it calls “functional zero,” or no more than 300 veterans facing homelessness at any one time, and none chronically so. The agency has made significant progress towards this goal; by the end of last year, the agency estimated that the number of homeless veterans stood at just under 560, a 90% reduction from the estimated 4,677 in 2011. At the end of 2015, the city was recognized by the federal departments of Housing and Urban Development, Veterans Affairs, and the Interagency Council on Homelessness for ending “chronic veteran homelessness,” a narrow designation which applies to disabled veterans who have been homeless for at least a year, or experience four episodes of homelessness in three years. According to Daniel Farrell, a senior vice president at supportive housing non-profit HELP USA, “our work should be around shelters, before and after the shelter.” This partly involves simply making veterans aware of the services available to them. An obstacle to aiding homeless veterans in New York is the ever-pertinent problem of housing availability. “We could have all the subsidies in the world, but what we need is the units,” said Branca. New York City has a miniscule vacancy rate, scarce available affordable housing with rent caps, known as rent-stabilized housing, and about 60,000 people living in shelters. Kristen Rouse, a U.S. Army veteran and director of the NYC Veterans Alliance, highlighted the fact that it isn’t only the lack of housing stock itself but landlords’ discomfort with veterans and their support structures that led to shortage. “We hear about landlords who don’t accept G.I. bill benefits, or disability benefits,” she said. In response, her group is pushing a bill in the City Council, sponsored by Brooklyn Council Member Jumaane Williams, who chairs the housing committee, that would include veterans as a protected category in the city’s Human Rights Law. “Discrimination is illegal under federal law, but who are they going to call?... If you can call a 212 area number, or call 311, it’s a whole lot easier to address,” Rouse told Gotham Gazette. In addition, she is supporting a bill sponsored by Staten Island Council Member Steven Matteo, the Republican minority leader, that would extend property tax exemption for veterans to cover school property taxes. “School taxes have gone up 60% since 2003. Disability and social security? They’re not going up,” said Rouse. The December 8 response from CUNY’s Interim Vice Chancellor Christopher Rosa to Joe Bello's Gotham Gazette op-ed of the day prior surprised many student-veterans on CUNY campuses -- including the ten signatories of this letter. To begin with, we were not aware that CUNY actually recruits veterans to its campuses, as IVC Rosa asserted. From our experience, military veterans usually attend a CUNY school based on a campus location or a school’s specialization - degree programs, specialty programs like Veterans Upward Bound - and, most importantly, word of mouth from other veterans. None of us have seen any recruitment directed at veterans, either through advertising or social media, at our prior military commands or when we came to New York City. Also, while CUNY does waive our application fees, it is not clear to us who are the “deployed, dedicated admissions counselors” who supposedly smooth our way through admission. For many, admission into the CUNY system is a long and arduous process and at no time did we meet counselors “deployed” to help us. If anything, many of us were referred to CUNY’s admissions website for veterans. With regard to IVC Rosa stating that CUNY works to "assure that New Yorkers eligible for the Post 9/11 GI Bill attend 100 percent cost-free," the U.S. Department of Veterans Affairs pays our tuition to the campuses based on our length and type of military service. This means that not every student-veteran, or eligible dependent, utilizing tuition assistance from the Department of Veteran Affairs is attending without a financial burden. Furthermore, we question IVC Rosa’s statement that the “veterans services coordinators are a one-stop resource to support veterans in their transition from military life to higher education.” As Mr. Bello stated in his op-ed, Baruch College does not have a coordinator and other CUNY campuses currently have issues of harassment, alienation, and unresolved complaints lodged with their respective coordinators. These issues, as well as others on CUNY campuses, have led many student-veterans to help themselves to find the resources to support them in their transition. Lastly, on IVC Rosa’s statement that CUNY was the first university system in America to be named “military friendly” by Victory Media: as several people testified at the November 15 City Council hearing, any college can obtain this designation by filling out a form that Victory Media provides. Case in point, over three semesters LaGuardia Community College has been engaged in a dispute with its student-veterans regarding their current coordinator, yet the school still received the “veteran friendly” designation, and even as that college’s student-veteran enrollment numbers have decreased. There seems to be no real mechanism in place by either Victory Media or CUNY to really know which institutions deserve the designation and which don't. IVC Rosa states that “external rankings validate the welcoming environment at CUNY colleges for those who have served their country.” However, as individuals who have served this country and are currently pursuing degrees within the CUNY system, we have to ask: When will the ongoing battles of CUNY’s student-veteran population begin to be addressed by the leadership at CUNY? IVC Rosa's letter appeared to be nothing more than an attempt to put a stop to the discussions that are currently going on between CUNY and its student-veterans, and his letter does not address the issues raised by Mr. Bello in his op-ed. We want IVC Rosa and CUNY leadership to understand that while they state that CUNY cares about its student-veterans, many campuses do not have the necessary resources to allow our successful transition from military to higher education. Therefore, we are demanding that the Board of Trustees and CUNY leadership take action to make CUNY live up to its “military friendly” designation. If not, then all that we -- as skilled, hard-working and experienced student-veterans -- bring to our CUNY campuses, including our federal dollars, can be taken elsewhere. Regarding Joe Bello’s Dec. 7 op-ed, CUNY is deeply committed to making our University a first-choice destination for veterans. We proudly educate more than 3,000 student veterans, up more than 250 percent over the last eight years. We recruit veterans; deploy dedicated admissions counselors who smooth their way through admission; waive their application fees; assure that New Yorkers eligible for the Post 9/11 GI Bill attend 100 percent cost-free, and offer in-state tuition to non-New Yorkers for their first 18 months of study. We also proactively review veterans’ Joint Service Transcripts to grant academic credit for military service. Our campus veterans’ services coordinators are a one-stop resource to support veterans in their transition from military life to higher education. 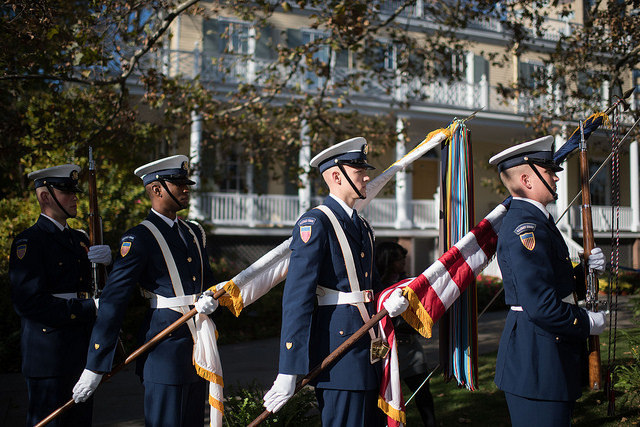 Earlier this year the City University of New York became the first university system in America to be named “military friendly” in recognition of its programs for veterans, members of the armed forces leaving the service, and their military spouses. City College was just named the nation’s number one military-friendly large public college. We are proud of these designations for CUNY and City College, which affirm our progress toward cultivating and sustaining a university that embraces and empowers student veterans. External rankings validate the welcoming environment at CUNY colleges for those who have served their country. That said, more funding for veterans’ programs would certainly be most welcome, and we look forward to working with the City Council for additional support. In the meantime, CUNY colleges will continue to make the best of available resources to assist student-veterans wherever possible. Last month the New York City Council held a joint hearing of the veterans and higher education committees on services to military veterans at the City University of New York (CUNY). It was the first hearing regarding CUNY and veterans in several years. CUNY representatives touted the university as committed to making its campuses a first destination for veterans. But, the hearing also helped expose gaps in the services that CUNY is providing to military veterans who are enrolled in its school system, and helps us understand the need for better support for student-veterans in New York City. To help veterans transition from military service to college, in 2012 President Obama signed Executive Order 13607, which established principles of excellence for educational institutions serving veterans. Among its requirements, the order tasked institutions that receive funding for veteran education benefit programs to comply with a range of consumer protections pertinent to veterans, as well as provide veterans, before they use their benefits, the tools to compare institutions with respect to affordability and value. 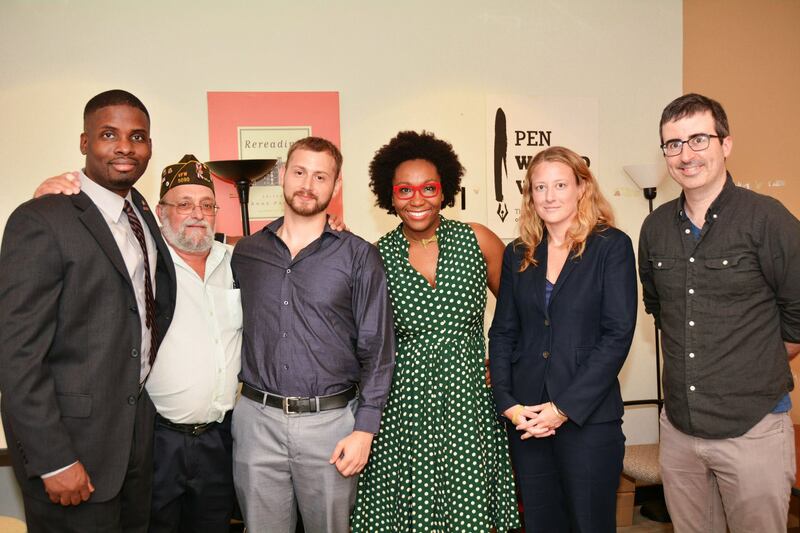 Locally, in April 2013, then CUNY Chancellor Matthew Goldstein convened a task force to address the needs of student veterans and to develop recommendations to improve their experiences. The report also predicted that the number of military veterans applying to CUNY would grow as the conflicts in Iraq and Afghanistan drew down, which proved correct. In 2009 there were slightly more than 1,700 veterans enrolled at CUNY. Today, there are more than 3,100, putting CUNY in the top ten for student veteran enrollment among the country’s higher education institutions. The CUNY system is an essential resource for our returning veterans as they transition into civilian life, part of the system’s larger role in offering opportunity to those seeking higher education. But, if you’ve been following David W. Chen’s reporting in The New York Times, you know that CUNY has major problems, including a morale and funding crisis, a federal investigation regarding the president of one college, and her resignation; as well as broader abuse and financial mismanagement. This has led Governor Cuomo to recently call for major reforms at CUNY, including a new inspector general. It is indeed time to reform CUNY, and these reforms should include military veterans. In the three years since the report of the CUNY task force on veterans was released, progress in the five areas the report focused on has been difficult to gauge. Campuses across the university seem to offer uneven services for veterans; with the key to success or failure seemingly based on how each college president regards veterans and their issues. Case in point: while every other campus currently has either a veterans coordinator or director, Baruch College does not. This type of deficiency is the result of a troubling trend. Over the past six years, while the number of veterans attending CUNY has increased, the number of staff focused on supporting veterans at CUNY’s central office has decreased to only one full-time person. The lack of personnel has hindered the university’s ability to “look in” on campuses to make sure they are carrying out the policies and recommendations that the task force put forth. The ongoing scandals and changing leadership at CUNY’s central office and the various colleges have hurt transparency regarding how City Council and State Legislature grants are distributed to the campuses for veteran services. As a result, there appears to be no mechanism requiring the colleges to account for how those monies are spent on veteran services. This makes the divide between CUNY’s central office and the colleges even greater, which has invariability led to the uneven services across campuses. So it’s understandable why many student-veterans at the recent City Council hearing were surprised listening to officials from CUNY central office talk about the great things CUNY is doing for veterans. The testimony appeared disconnected from what many veterans are experiencing at their respective campuses. With insufficient staffing, the will to implement and enforce policies, and a veterans mental health program on only four campuses, CUNY has no way to baseline the services for veterans on each campus. As a consequence, the more veterans in the community talk about those campuses that are not providing services, the more veterans will only consider those that are. The more veterans struggle on colleges with minimal services, the higher their attrition and transfer rates will be. As the chair of the city’s Veterans Advisory Board recently stated, the importance of a sound, accessible post-secondary education to New York City's veteran strategy cannot be understated. It is the engine for economic mobility. Therefore, it is strategically important for the Governor, the Board of Trustees, and the leadership at CUNY to “look in” and put the necessary resources into its veterans offices and programs, enforce its own recommendations and policies; and see where the money is going and how it’s being spent at the colleges. CUNY can and must truly set the standard for success in veterans attending public colleges. That would be a win for New York City. At a forum on New York City Veterans Policy Tuesday night, hosted by the New York City Veterans Alliance, veterans and veteran advocates of diverse ages and backgrounds gathered to discuss the issues facing their community, including homelessness, funding for employment, healthcare and other services, and even how to define the term 'veteran.' The event occurred amid ongoing debate over how well city government is attending to veterans' needs and organizing its resources to best provide support to the hundreds of thousands of veterans living in the city. "I would say different era veterans are having much different experiences in NYC. A lot of the student vets, there's a lot more support for them with the new GI bill, they're doing a lot better overall. 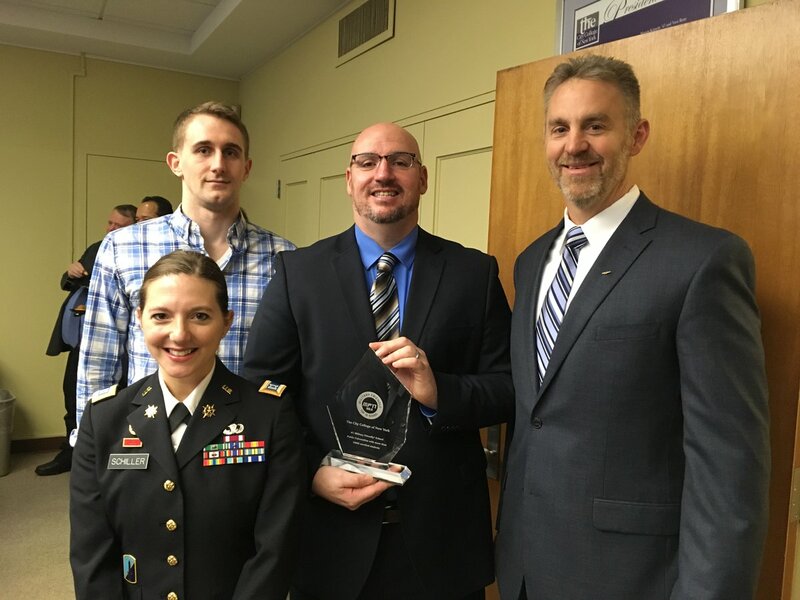 And they're a lot more active in honing the community and helping with various student organizations and veterans associations at schools," said Vadim Panasyuk, who served in Iraq and works at Iraq and Afghanistan Veterans of America (IAVA). "But other era veterans that are struggling— from more forgotten conflicts, Korea, Vietnam— those vets are still struggling, and find themselves in legal whirlpool of all the different VSOs [veteran support organizations] and dealing with misinformation from one service provider to another and it becomes very discouraging to seek out help." Iraq War veteran Tireak Tulloch, a spokesman for IAVA, agreed. "If you're a veteran from a different era, [service providers] don't know what to do with you," Tulloch said. Vietnam veteran Lee Covino, who recently served as Vice-Chairman of the City's Veterans Advisory Board, described witnessing an "identity crisis." "You have people who are separated by campaigns...you have a huge population out there and one of the things that irks me is when a vet tells me, 'I'm not a vet,'" Covino said. "That's nonsense. You're an era and you need to organize that way." The efficacy and availability of resources for veterans was a key part of Tuesday night's discussion, with NYC Veterans Alliance interim director Kristen Rouse noting in her opening remarks that the city committed to a "notable" increase in funding for veterans in the fiscal year 2016 budget. "I think there's been tremendous progress and the city has come together, but...There's a real sense to me of a lack of cohesion of all these different efforts," said Coco Culhane, the founding director of the Veteran Advocacy Project at the Urban Justice Center. "And there's not a whole lot of infrastructure they can turn to at the city level and especially for veterans who are not eligible for these federal VA dollars. The city is their safety net and we need to be there for them so I think we have a long way to go, even with just acknowledging veterans." There is conversation at the city level over whether the Mayor's Office of Veterans Affairs, or MOVA, should become its own city agency, removed from within the mayor's office, but still under the mayor's purview. Creating a separate Department of Veterans Affairs, as called for by a City Council bill that has had one public hearing but does not have Mayor Bill de Blasio's support, would likely give work to support veterans more clarity, resources, and oversight. "You need people who know what they're doing to serve this population and having experts but also having oversight. If we're going to address all of the issues that are included in that report," Rouse told Gotham Gazette referring to the report NYC Veterans Alliance recently released, "if we want to properly address this stuff, there has to be an accountable agency that has programmatic oversight of what these different city agencies are doing." The report, which surveyed almost 500 veterans in the New York metropolitan area, identified veterans' key concerns, including improving access to the VA suicide hotline and increasing oversight of veteran service organizations that receive city funding. Comedian and television host John Oliver delivered opening remarks describing his experience being married to a veteran. "It's hard being married to a veteran because you can't complain about your day," Oliver quipped. "'Oh, you had a bad day writing jokes? Shut up!'" But Oliver also took a more serious turn, underlining the importance of doing more than just saying "thank you" to military veterans. "It's too easy to say 'thank you,' but you're not actually doing anything. There can be a real seduction in people having lovely commercials on TV, introducing veterans at football games, but it's not doing anything to fix infrastructure," Oliver said. Moderator Phoebe Gavin, an Army veteran who served in Iraq, commented that "the average American is just not very connected to the [military] campaigns that have occurred," adding that many might not have a veteran in family. "There's just not as much connection to campaigns as there used to be...we've been at the mall all this time," Gavin said of most Americans going about their business, like shopping, while a small group serves in the military or has a family member doing so. In an interview with Gotham Gazette prior to the forum, Oliver highlighted the work organizations Team Rubicon and Mission Continues do to assist veterans' transition back to civilian life. Team Rubicon unites military veterans with first responders to deploy emergency response teams, giving veterans the opportunity to put the skills they learned in the armed forces to use responding to natural disasters. "They are a good example of providing practical assistance," Oliver said. "And most veterans don't want help, they're not a group that will complain, they don't want to be treated like a charity case. They want to be given opportunities."